The GSD pump line consists of single stage, horizontal, general service centrifugal pumps combining advanced engineering to cover the widest possible range of service conditions with interchangeable parts and sub-assemblies. 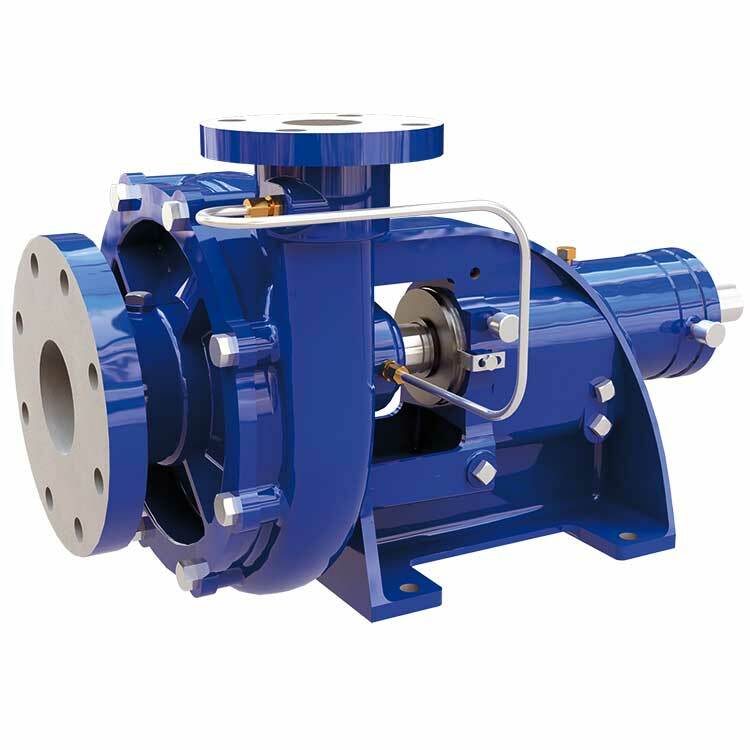 The GSD is a general purpose centrifugal pump with a semi-open impeller and an outstanding performance when handling clear fluids or liquids with small solids in suspension. Also available with a close coupled configuration, the GSD-C pump has the impeller directly mounted to the motor shaft. With a close coupled pump, the pumping motor never has to be aligned in the field. They require less floor space within a plant room for installation making them an ideal choice for confined spaces.